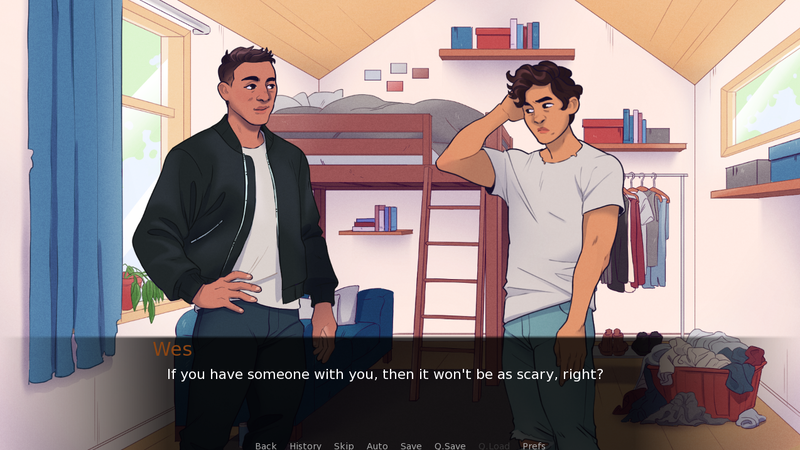 Who We Are Now is a queer, post-apocalyptic visual novel set ten years after a nuclear war scoured the earth. It follows Wes, a young man who, drowning in the memories of everyone he's lost, returns to a settlement called Home in search of something to ease his pain. The demo explores the very beginning of the game, allowing you to meet Elder Mohra, who runs the town of Home, as well as two of the main love interests, Jesse and Xander. You'll get to begin to understand some of the problems they are dealing with and see how Wes might be able to fit into their lives. Our Kickstarter ended successfully on April 15th, and the game is now in full development. The first part of the game, Xander's Story, was released on December 10th. 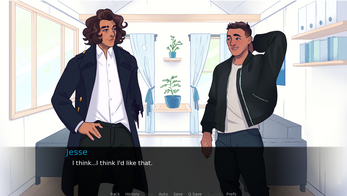 If you are interested in preordering the game and getting access to Xander's Story, you can do that here. This demo is a collaboration between myself (Bryce Duzan), as well as Allison Paige, who created all of the art. You can find Bryce on Twitter at @Spincut and Allison on Twitter at @Rabbitcourage or on Tumblr here. Please unzip the included file to a directory of your choice. 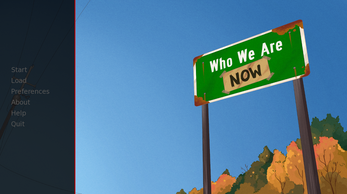 After that, run "WhoWeAreNowDemo.exe" on Windows, "WhoWeAreNowDemo.app" on Mac, or "WhoWeAreNowDemo.sh" on Linux. Click "Help" on the main menu to get more info on how to play the game! Please enjoy! 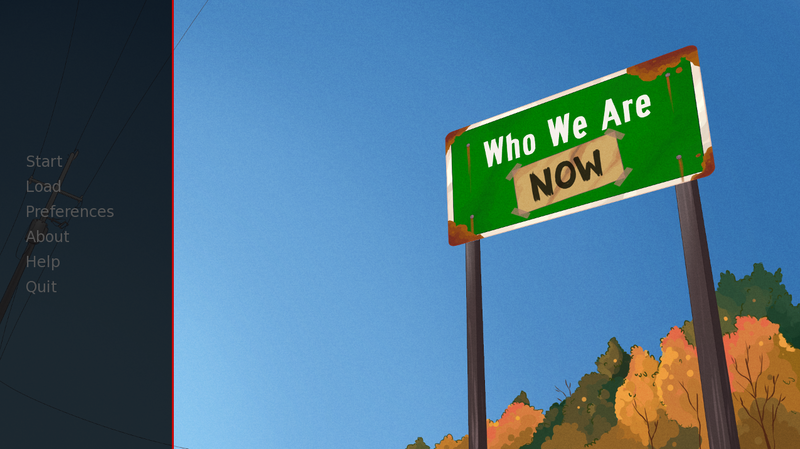 Who We Are Now Demo - Version 1.1 out! 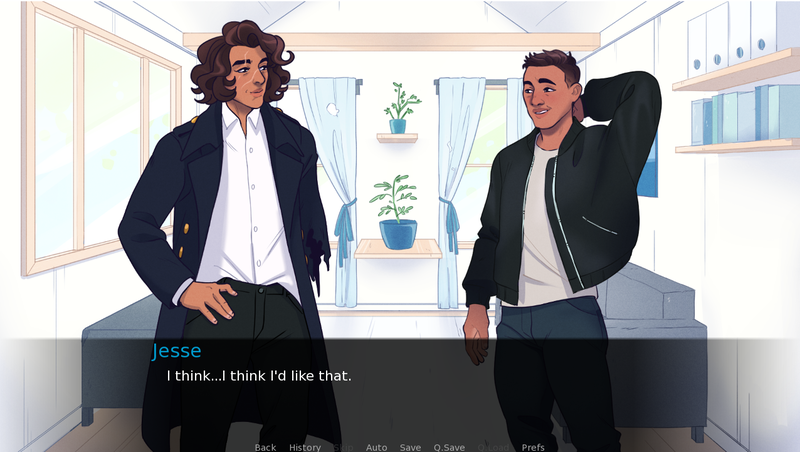 So I saw there were no comments and I played the demo so hi! 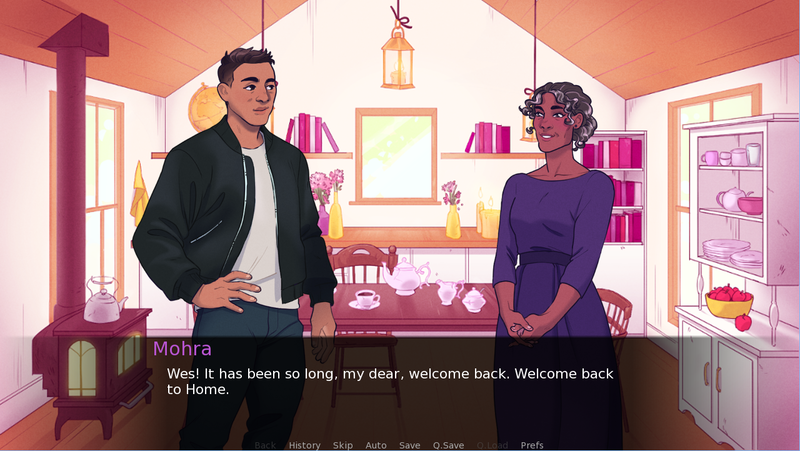 The art is fabulous and the characters seem like they could be really cool in the future (not that they aren't now, but like just with some more development time into the characters). I was sad that the demo was so short; I have a hard time finding games like this on here. Thanks for making this and I will most likely be putting money toward the kickstarter for the full game!